Andrew Bird's newest record, My Finest Work Yet, lives up to its title. As a multi-instrumentalist, vocalist and gifted whistler, Bird pushes his artistic boundaries musically and visually. 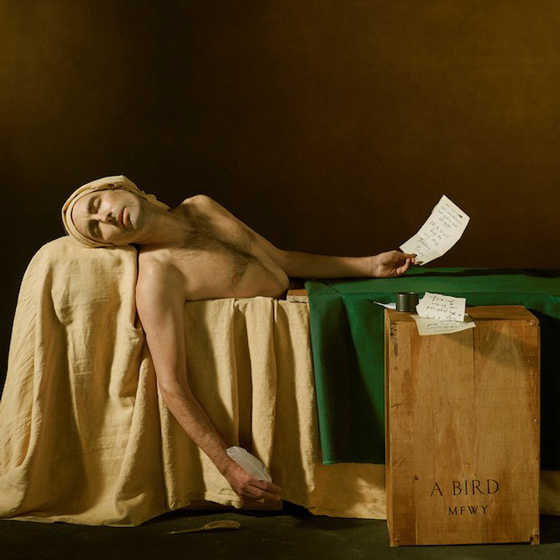 The album art portrays Bird recreating the famous "The Death of Marat" painting by Jacques-Louis David. Blending themes of politics and modern science into his fashion of storytelling, My Finest Work Yet is a true tour de force. The opening track, "Sisyphus," is heavily embellished with Bird's trademark whistling; the energizing, upbeat song with elements of folk and jazz makes for a strong start. "Bloodless" and "Archipelago" both have a blues feel to them; with rattling tambourine layered with the violin and piano, there is a sense of sophistication here.